Because the hospital admission rate for injured riders (0.49/1000 hours) is greater than motorcycle riding (0.14/1000 hours), football and skiing, it is definitely considered a high-risk activity. Read more about this study in the The Equestrian Medical Safety Association (EMSA) Spring, 2010 Newsletter. Your horse doing something unpredictable, like spooking, bucking, or bolting – is how most head injuries occur, but 20% happen when you’re simply around horses. 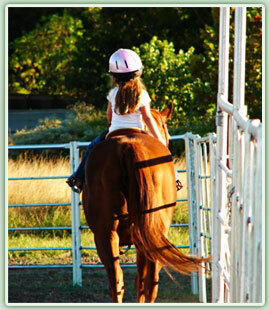 The majority of head injuries are caused by unpredictable events, such as your horse spooking. And even more surprising, 1 in 5 people who are seriously injured weren’t even riding – they were just hanging out around horses or watching someone else. The most common reason among riders for admission to hospital and death are head injuries. About 70,000 people go to the emergency room each year for equestrian-related injuries. About 12,000 of those people have suffered head injuries. Helmets work. Most deaths from head injury can be prevented by wearing ASTM/SEI approved helmets that fit correctly and have the harness firmly applied. To get the most protection out of your helmet, it needs to fit you well, and be properly adjusted every single time you ride, including a snug chin strap. Bike or skateboard helmets are fine for riding horses. Cycling and Equestrian standards are very different. Bicycle helmets are similar to Horseback Riding safety helmets in appearance, but are not subject to the design specifications and standards that a riding helmet must pass in order to provide adequate protection. Horseback riding isn’t dangerous as long as you aren’t riding fast. Actually, the risk of injury is more closely tied to your distance above the ground, not speed. 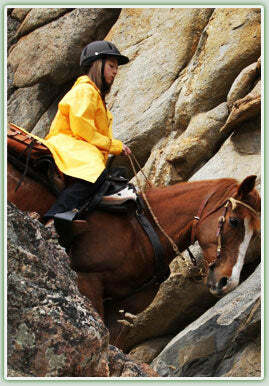 Falls from only over 2 feet high can cause serious injury, no matter how slow your horse is! The risk of injury is tied to how much you ride, not how good you are. The more expensive your helmet is, the more it will protect you. You can spend $500 on a helmet, but it won’t make it any safer. As long as it’s SEI /ASTM certified, you’re buying a certified protective helmet. Spending more might get you different padding, fancier decorations or materials, but it doesn’t translate into more protection. If you don’t have a helmet, just borrow a friend’s. Avoid loaning your helmet to others. As a savvy rider, you want to know exactly what kind of treatment your helmet has experienced during its lifespan so you can knowledgeably assess its integrity over time. After a fall if your helmet took the impact of the fall, it’s fine unless you see a crack in it. You need to replace your helmet if you’re ever in a fall. It could have a defect that’s invisible, and if you fall on that same part of the helmet again, you won’t have the protection that you should. And even if your helmet never takes a hit, it’s a good idea to replace it at least every five years (or sooner if you ride often), just because the helmet material can take a beating from all the sweat, heat, dust, and rain.